…we want to make sure you get your spot reserved… classes are very small to give you proper attention and focus! – two full days in person, to dance hard, listen, write, talk, honor and celebrate our dance, ourselves, and each other! 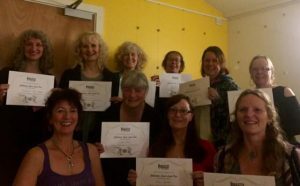 Amanda Richardson (Oregon), Cinzia DiCioccio (Italy), Nina Martinez (Australia), Deirdre Macdonald (Scotland), Christine Haviland (New Zealand), Misha Cain Nell, (Florida), Angie Neylan Wimmer (Massachusetts/Rhode Island), (Allie Joseph, Ohio) are intensely trained and Certified Master Teachers, now all certified in Level Two, by Paulette Rees-Denis, the innovator of her internationally acclaimed Gypsy Caravan Tribal Bellydance® style. They are ready to honor each one of you on your path with the Collective Soul Experience. Mark your calendar and get registered! Are you looking to bring the Collective Soul Certification Intensives to you for 2018? Are you ready for the Collective Soul Experience? 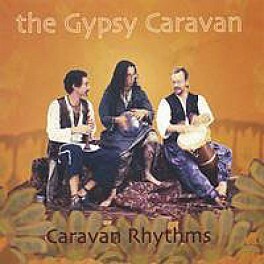 –For some personal time to move and write, breathe and question, and get your Gypsy Caravan Tribal Bellydance® groove on? Want to be the best dancer you can be? 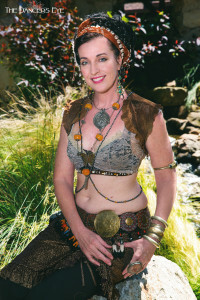 Using Gypsy Caravan Tribal Bellydance®! And you desire the physical, spiritual, and emotional connection with yourself that you have been waiting for! Want to improve your body skills, posture, and confidence? Want to dig in deep to pursue your dance dreams and desires? 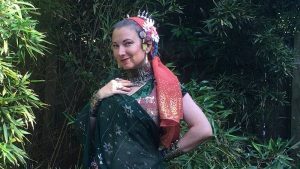 Connect with your body, mind, and spirit for a total Tribal experience? Understand the roots of Gypsy Caravan Tribal Bellydance®? 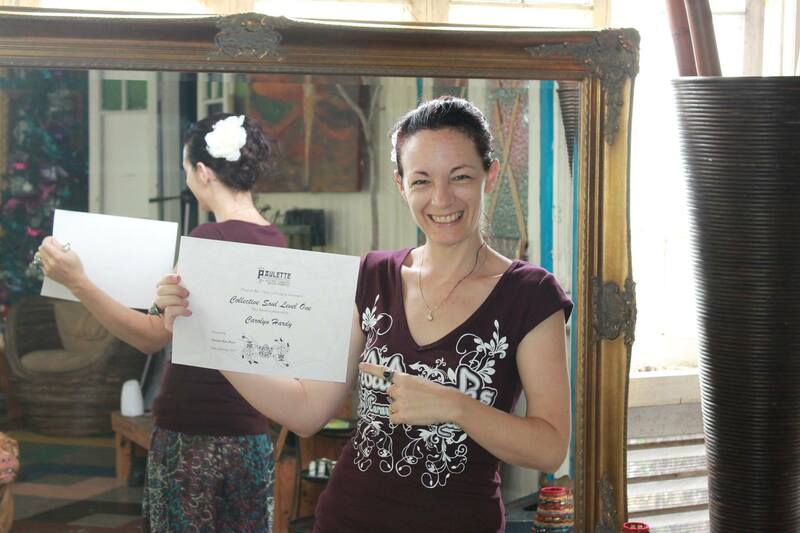 And this is your first part of Gypsy Caravan Teacher Training! What do you get when you take Gypsy Caravan Tribal Bellydance® Collective Soul Intensive? 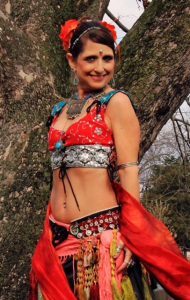 We dance Gypsy Caravan Tribal Bellydance® because it feels good and it is empowering and invigorating! Because this dance is so primal, so intuitive in our bodies and our souls, that as we dance together in our circle, we hook into our collective unconscious, the collective intuitive knowledge in all of us, and join hearts, bodies, and souls, with this amazing dance form. Finding the strength, beauty, and creative force in ourselves. to find other dancers in your area or around the globe! 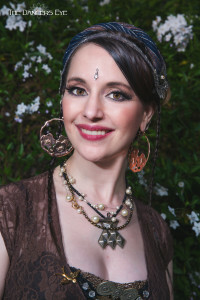 GYPSY CARAVAN TRIBAL BELLYDANCE® INTENSIVES? WW writes: One of the biggest gifts was to be able to study with Paulette in person, to feel her encouragement and support. Every time I experience Collective Soul I feel that it moves me further along my own path of authenticity. It is so holistic, intense – the connections, reflections, soul-searching. It reaffirms why I live this beautiful dance and I settle deeper and deeper into my own skin and into who I am. It inspires me to dance on, to develop my own dance and to share the joy that it brings with others – not just in dance but in life. Thank you, Deirdre, for a fabulous weekend, and to all you lovely dancers who shared it with me. And thank you, Paulette, for all the deliciousness, for the experiences that have been, and for those yet to come. Join us online, for four weeks of weekly emails, full of Beginning Levels One and Two dance moves, with PDFs of instructions, videos to warmup and work out with, work on finger cymbal rhythms and drum rhythms, get MP3s to listen to with visualizations and meditations, and journaling prompts. This does take a time commitment of a few hours a week, so make sure to block off your special time on your calendar to participate! Have your journal ready to dive into your sweet dancing soul! The course runs for four weeks, one email a week full of many videos (on Vimeo), MP3s, and written info for you to work on all week — on your own time. There is journaling to do, meditations to listen to and do, assorted exercises and drills, and questions to answer and send back to me. Then at the end of each week, I would like you to make required videos to show me what we are working on that week and how you are doing so that I can help you with what you need! You send that to me via YouTube, Dropbox, or Vimeo. You can post questions to me too. 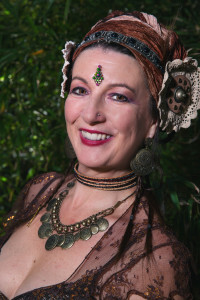 *You will be tested at the end of the session, sending me final videos of what I ask you to dance, plus there is a written test which you will email back to me…and when you pass, you will be certified in Gypsy Caravan Tribal Bellydance® Level One Collective Soul Tribal Bellydance Certification program! If you are not ready to be tested at the end of the four weeks, you take the time you need and do it when we are both ready (extra fee of $50.00)…no worries at all! What I expect of you to pass and be certified, is to meet the criteria–which is understanding the moves in your body and your mind, knowing the names, identifying the drum rhythms, playing your finger cymbals! If you don’t pass the first time around, no worries…you practice on your own time until you are ready to retest. Everyone learns at different speeds and I honor that in each of you! Not a problem, I really want you to understand the moves and the dance, because Tribal Rocks! 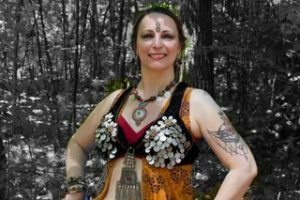 *This is a pre-requisite for the Gypsy Caravan Tribal Bellydance® Teacher Training program and will also allow you to move into Collective Soul Level Two. 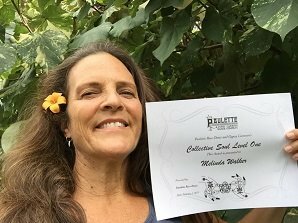 **For previously certified dancers and teachers, you may review and rejoin any Collective Soul courses in your level for a nominal fee. Highly recommended, it is a great opportunity for you to strengthen your dance and your bond with all of us! Thank you, Paulette, for a memorable two days of Collective Soul One. It took me three days to descend from my CS high, and in the process, I experienced a wide range of emotions and a new awareness of body and mind. To say that my “gift box” has expanded to overflowing is an understatement. 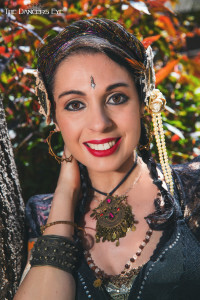 These new gifts include a much deeper connection with the music (on my first listening of Mizna I was able to identify all of the rhythms you worked with us on, a deeper connection to my whole body in movement, as well as a deep connection to the courageous feminine spirit – watching the women that I danced with bare their souls to receive your and Amanda’s teachings. One of the biggest gifts was to able study with you in person, to feel your encouragement and support. 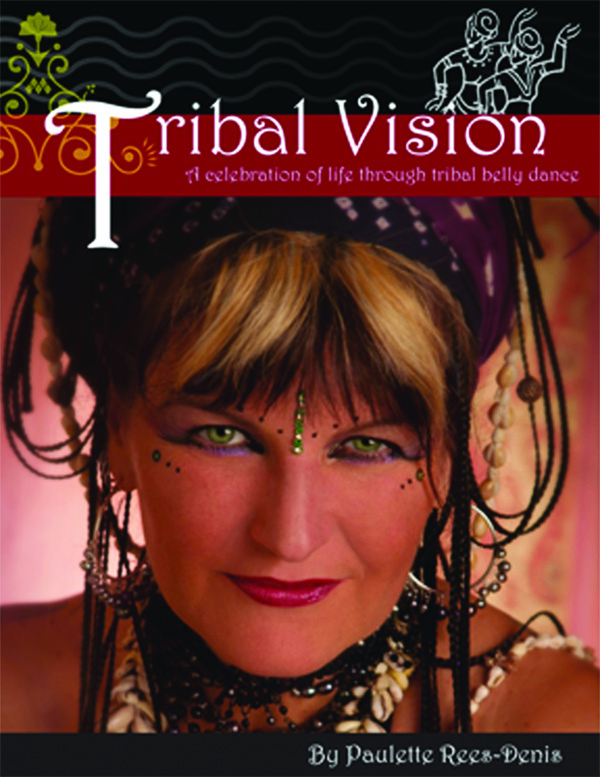 This Tribal journey is fascinating, joyful, and soul expanding, and I am so very grateful to you for your life’s work in creating this beautiful and powerful dance and paving the way for all of us. The structure and Paulette’s high standards have made me a better dancer over time. So to all you ladies out there who are thinking about it, go for it! H.G. “… To say we all sweated and sweltered is somewhat of an understatement. After 3 intensive days of dance, laughter, sweat and tears in ‘Collective Soul’ was the dreaded ‘test’. 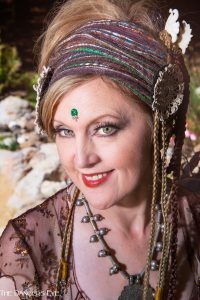 Much to my surprise and pleasure I actually gained my accreditation in Gypsy Caravan Tribal Bellydance® Collective Soul 1. In a nutshell, this was an absolutely fabulous experience within my journey with dance. Very worthwhile ‘biting the bullet’ so to speak and taking part in this artistic, innovative training with Paulette Rees-Denis of Gypsy Caravan Dance Company. For me Collective Soul 1 was very much a personal discovery of the dancer within. Collective Soul 1 is very much a personal, sometimes very emotional journey but it is also a journey shared by your fellow tribal sisters, all of whom are undertaking their own personal journey, as well Paulette who is truly a master of her craft, a very down to earth lovely lady and an wonderful teacher. She encourages you 100% to be the best dancer you can be. For me gaining accreditation was just the icing on the cake, the cake was the main part and it was the yummiest hugest cream sponge you could imagine (you can see why I’m voluptuous) and I would encourage any of you dancing girls out there, if the opportunity arises to take part in Collective Soul 1, grab it with both hands and run with it. Want to know more about Collective Soul Level Two? We move into the Intermediate Level One session, work on smoother transitions between moves, refinement of personal style, and variations of tribal styling. * Add more zil patterns, and dance with them! 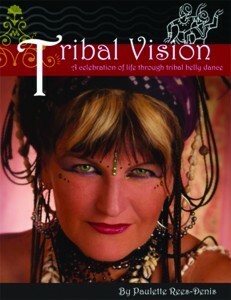 * Participate in discussions about tribal bellydance artistry. * Have a great time dancing together as a circle of women, feeling the community spirit of this dance! 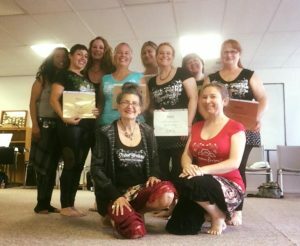 * This is your pre-requisite for our Teacher Training Level Two, and will also allow you to move into Collective Soul Level Three, and to continue your empowering dance and life studies. Need to know more about Collective Soul Level Three?